EUR/USD: Neutral (since 05 Jun 18, 1.1700): Still neutral; EUR to trade sideways from here. There is not much to add as EUR traded within a relatively narrow range yesterday and ended the day unchanged (closed at 1.1671 in NY, 0.00%). The neutral phase that started last month remains intact and for the next one week or so, we continue to expect EUR to trade sideways, likely between 1.1590 and 1.1760. Looking further out, even if EUR were to move out the expected 1.1590/1.1760 consolidation range, ‘neutral’ indicators suggest that the prospect for a break out of last month’s 1.1507/1.1850 range is low. In other words, we expect EUR to stay between 1.1507 and 1.1850 for the next several weeks. GBP/USD: Neutral (since 25 Jun, spot at 1.3265): GBP has moved into a consolidation phase. GBP traded sideways yesterday and closed little changed in NY (1.3206, +0.01%). The quiet price action offers no further clues and we continue to view the current movement as part of a 1.3150/1.3350 consolidation range. Looking further out, there is a slight downside bias but even if there is break of the 1.3150 support, we do not expect the strong 1.3040/50 support zone to be seriously threatened, at least not for the next couple of weeks (note that there is another strong support at 1.3100). AUD/USD: Neutral (since 05 Jul 18, 0.7380): Current soft patch in AUD could test the major 0.7300 support. Despite the relatively strong recovery yesterday, we continue to see chance for the current soft patch in AUD to test the major 0.7300 support. However, the odds for a break below 0.7300 are not high and we view any weakness as part of a ‘basing phase’ instead of the start of a sustained decline. In other words, AUD could trade sideways to lower for the next couple of weeks but oversold conditions suggest that AUD is trying to search for a bottom instead of accelerating lower. NZD/USD: Neutral (since 06 Jul, 0.6795): Scope for a test of 0.6675 but prospect is not high. No change in view. While we noted yesterday that the “recent upward pressure has eased” and “NZD is likely to trade sideways within a 0.6750/0.6860 range”, the rapid pace of the decline that quickly came close to the bottom of the expected range was not exactly anticipated (overnight low of 0.6754, as NZD lost a whopping -1.17%). Despite the sharp drop, we are not convinced that the current weakness in NZD is the start of a fresh bearish phase. That said, there is scope for a test of the major 0.6675 level even though the prospect for such a move is not high (on a shorter-term note, 0.6690 is already as strong support). On the upside, NZD has to move and stay above 0.6825 in order to indicate that the current downward pressure has eased. USD/JPY: Bullish (since 12 Jul 18, 112.00): Focus is at 113.40 followed by 113.75. 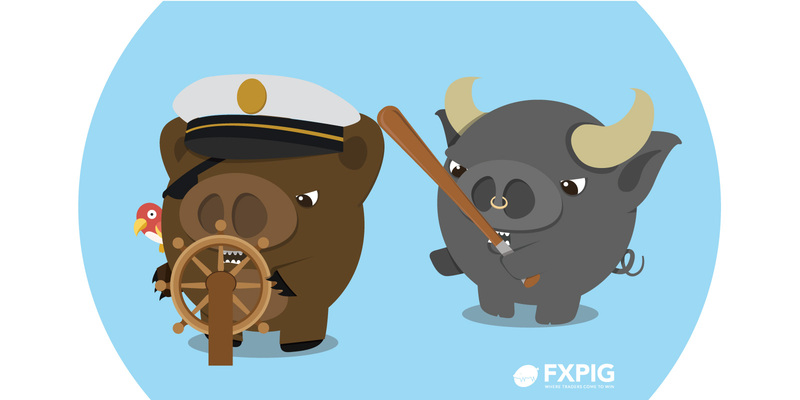 We shifted from a neutral to bullish stance yesterday (12 Jul, 112.00) and highlighted that in order to maintain the current ‘impulsive momentum’, USD has to “continue to power higher in the next few days”. The subsequent price action is line with our expectation as USD extended its gain and hit an overnight high of 112.62 before settling at 112.55 (registering the largest 2-day gain since Sep last year, +1.42%). The strong closing bodes well for our bullish view and we continue to anticipate further USD strength to the immediate ‘target’ of 113.40 (year-to-date high). Looking further ahead, if there is a break above this level, the focus would then shift to 113.75. The next significant resistance is at 114.72 and this level is likely out of reach, at least for the next couple of weeks. On the downside, ‘stoploss’ is adjusted higher to 111.50 from 111.30. Shorter-term, 111.85/00 is already a rather strong support zone.